Grand Theft Auto is among the most culturally significant video game franchises in history. Popular among adult gamers, the games have become icons for child endangerment, and are frequently cited in political rhetoric directed against exposing violence and indecency to minors. 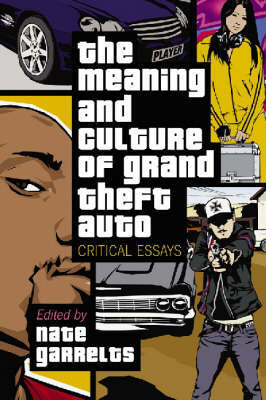 This work, the first academic book to focus exclusively on a single game series, presents essays that examine the complex and popular GTA phenomenon. Part 1 discusses issues of censorship, satire and the intellectual impact of GTA. Part 2 studies how players meaningfully and purposefully play Grand Theft Auto games.